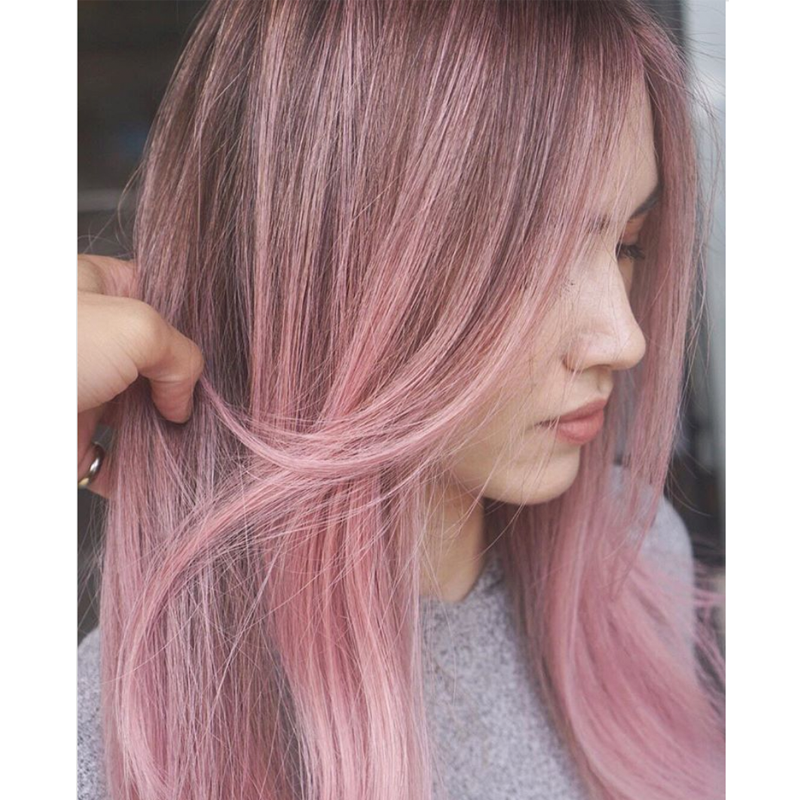 Lately, Instagram feels like an endless feed of millennial pink hair and we are HERE for it—that’s one reason we love this subtly sweet rose by #ONESHOT Finalist and BTC Team Member Jeffrey Robert (@jeffreyrobert_). So we’re dishing out everything you need to recreate this soft blush color. Just scroll for details, slay behind the chair and post the finished look (tagging #behindthechair, of course!). Do it for the ‘gram. Applying Formula A, create highlights all over. Process until desired level of lift, then rinse. Then apply Formula B to bump the base (Jeffrey’s client had a natural Level 3 base). Process, then rinse. Apply Formula C to the base and Formula D to the ends to achieve soft pink tones. Process, then rinse with cool water. Blow-dry and style as desired!